Fastest in the test, will he make the top step? 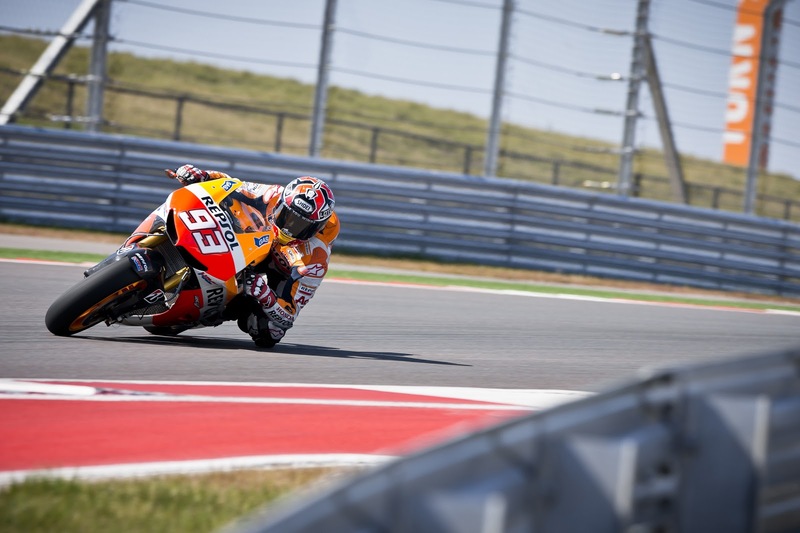 The Repsol Honda Team are headed to Texas, for this weekends second round of the MotoGP World Championship. The pint sized duo of Marquez and Pedrosa lie 3rd and 4th in the overall standings, after a gripping first Grand Prix from Qatar, two weeks ago. The factory Honda’s of Pedrosa, Marquez and Bradl, along with the factory Yamaha’s will not be venturing out blind on track this Friday. Unlike their Ducati, satellite Yamaha and CRT MotoGP counterparts; they completed a preliminary private test at the Austin circuit, around about a month ago. Of which, such private tests have reportedly been banned by Dorna, as they were not in concordance with cost-cutting measures implemented over the recent seasons. The test will have given the riders a good base setting to start with over the approaching weekend. Marquez was the fastest on the blank canvas circuit last time out, with the rookie being six tenths faster than his compatriot, Pedrosa. “To arrive on the podium in my first race was a dream come true, but now we must face the reality and focus on the job at hand. I am looking forward to going to Austin, it will be interesting as we have already been there testing and we found a good base set up. But we will see because it will be a different scenario with more rubber on the track and the conditions will change. We will concentrate on our work and our own agenda to prepare ourselves in the best possible way for the race.” Said the fresh faced newbie. Previous Previous post: Lorenzo: "In the USA it will be much more complicated"